My spotty little twin girls are being christened on Sunday. 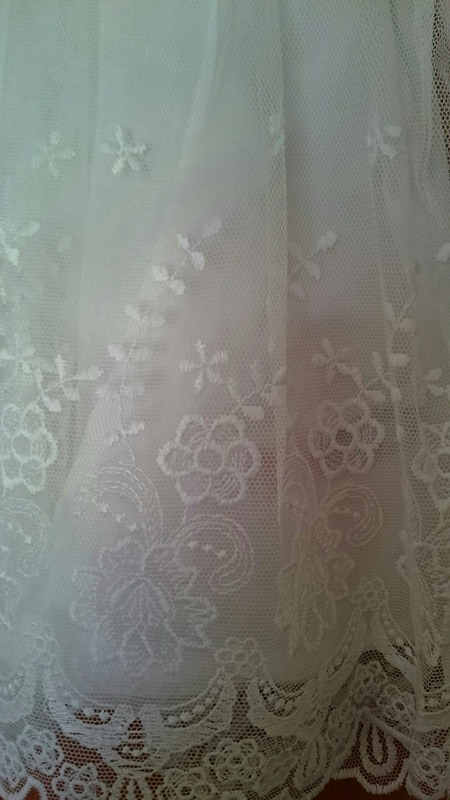 Both of my boys have been christened in my gown which is about 50 years old now and, started its life as my Aunts wedding dress. Our original plan was to use my gown and try find the one my husband was christened in as well but, that appears to have been lost over the years. It didn’t seem fair for one twin to have an antique and the other to have a new one so we have bought matching dresses for them to wear. 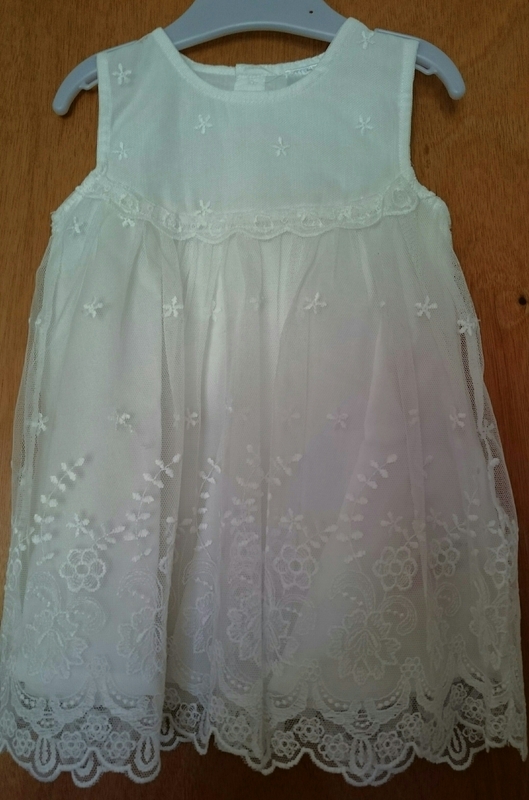 There are so many beautiful christening dresses available to buy ranging from pure silk creations in the hundreds of pounds to the cheaper supermarket versions. We fell in love with a gorgeous long tiered dress from Next but it was unfortunately sold out in the girls size. I was a bit disappointed until I found this much nicer substitute. This stunning dress is part of the F+F Signature range from Tesco and was the bargain price of £16. I completely fell in love with it as soon as I saw it. 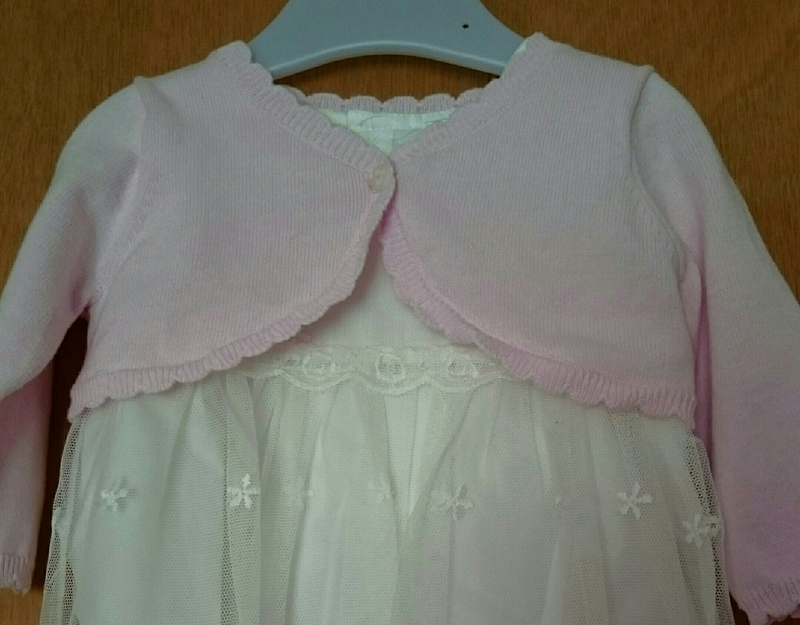 I’m going to pair it with this lovely light pink shrug from Mothercare to keep their chubby little arms warm and cream tights. Really looking forward to the girls special day. Just got to find the perfect dress for me to wear now and cook a whole heap of food!